Britons' bookings to Turkey are seeing a huge surge for 2018 thanks to its selection of hotels ranging from 2 to 5 stars, great hospitality, rich culture, endless sun and fantastic value. According to the Jet2holidays bookings, the company announced Turkish destinations among the most popular family getaways and best city hotspots, as city break bookings become more and more popular. In order to meet the demand, the company has increased capacity by over 600,000 seats, and have seen a fourfold increase in bookings to Antalya, with bookings to Bodrum and Dalaman more than doubling. It’s not just Turkey bringing in the crowds. Italy and Croatia are also seeing huge growth, as are the Greek Islands and Cyprus. The bookings data shows that more and more customers are looking to explore new and undiscovered regions, which is demonstrated by the growth in bookings to Costa de Almeria and the Greek Island of Halkidiki. Antalya has it all, serving up a stylish mix of the ancient and the modern, from Roman temples to cool waterfront bars. 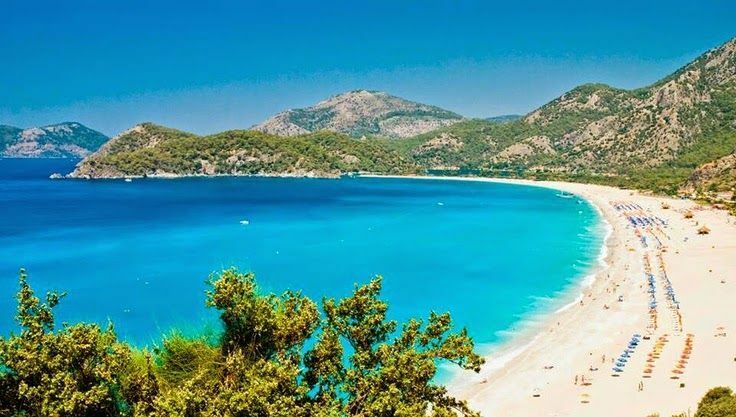 The beaches are amongst the best in Turkey, with white sands and blue seas for you to enjoy, when you’re not sampling delicious Turkish cuisine, fantastic golf courses, or the wild waterparks. With over 270,000 seats on sale for Summer 18 from across our nine UK bases, this represents a year-on-year capacity increase of 200% - and the response to this capacity increase has been phenomenal.